100 years ago, the loudspeaker brought music into people's homes, along with a mess of equipment, cables and buttons. Now we have cleaned up the mess. We have removed the cables and the devices. We have moved vital electronics into the loudspeaker and upgraded and digitized everything. For the first time, you can now enjoy a new and better way to live with a music system. SA legend silverback is a family of wireless speakers, where you only need the speakers to have a complete music system. The music itself is transmitted wirelessly to the speakers from eg. your mobile phone, but it can also come from your tablet and computer .... or turntable or CD. The important news is that your living room is now liberated from equipment (that you don’t need) and the loudspeakers are finally liberated from cables. The cables are replaced by a wireless signal that is as good as the world's best cable. The loudspeakers only need mains power. Too many technological solutions do not work together. Instead, they limit people and build unnecessary walls. We want to challenge that philosophy so we have put many technologies into the speakers to make them available for the most solutions. We have built-in Airplay for your Apple. Not to mention … HDMI (ARC) so you can use the speakers with your TV. Wirelessly. So if you have devices that use cables, just read on. 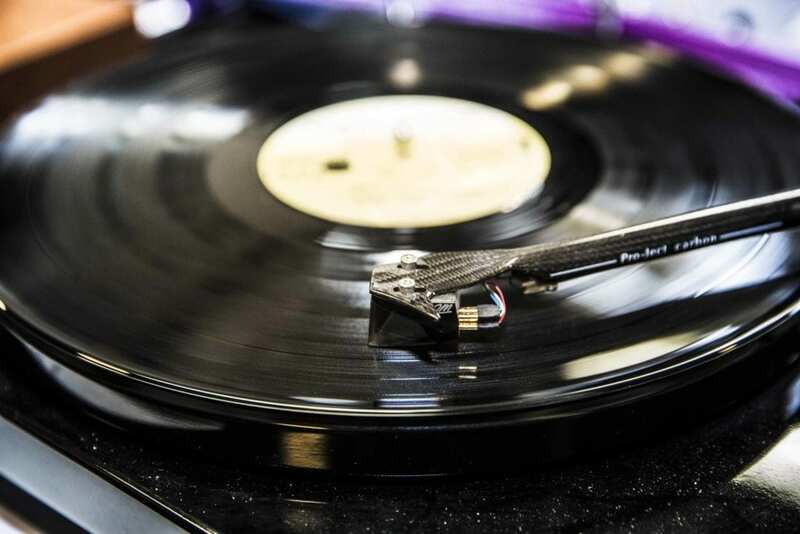 Your turntable, CD, game console - what have you? - connects easily to our hub that sends the sound signal to the loudspeakers. Wirelessly. It can´t be any easier. Our wireless signal is called WiSA. And you don’t have to think about it. 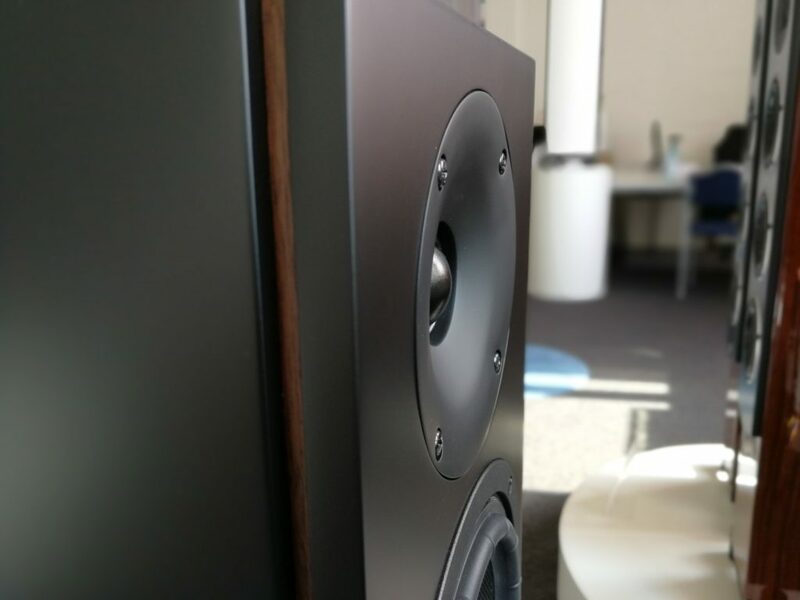 It only means that speakers in the SA legend silverback family connects easily with, for example, Bang & Olufsen, LG, Pioneer, Onkyo, TEAC, Primare and many other brands. Wirelessly. 24 bit / 96 kHz. High Definition. In this simple way, you set-up a wireless cinema with up to 8 speakers. In other words, don’t sell your speakers because you want a home theater. 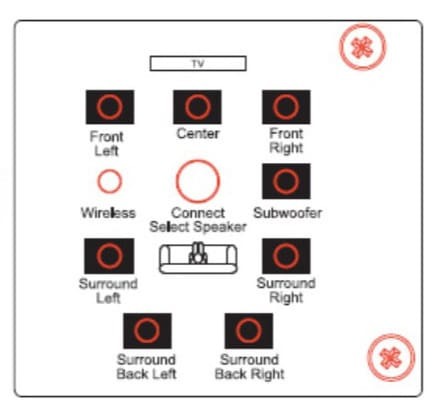 Build on what you have and assign each speakers according to its position in the home theater. All with the touch of a button. You can party with SA legend silverback. 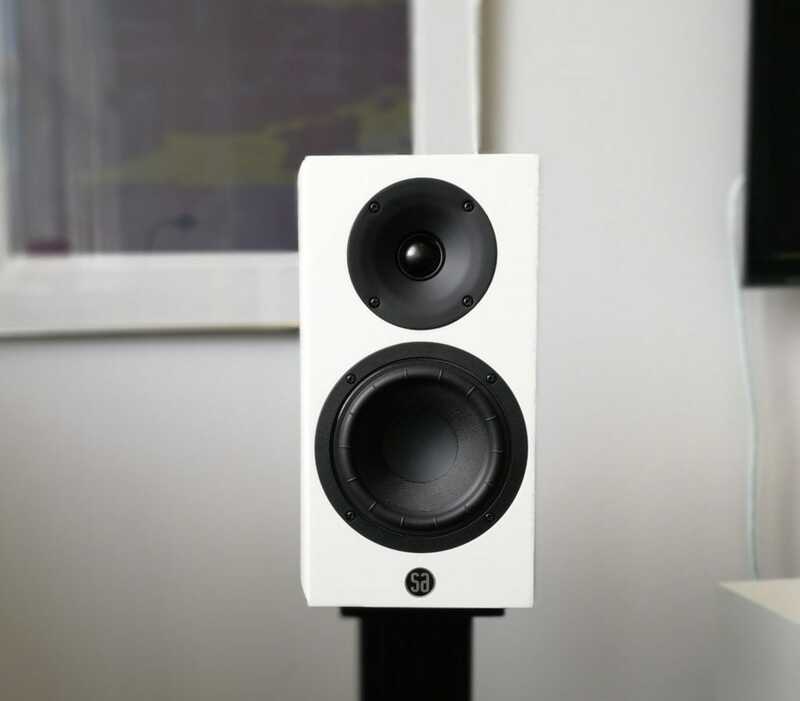 They are able to play immensely loud and a security circuit constantly monitors the speaker so it does’nt break. All speakers will function in mono with the touch of a button. It is practical when you have guests and you want to enjoy music in the kitchen and in the living room. You just move one of the speakers (it's wireless!) and set it to mono. Then you get the whole music delivered through one speaker. Smart and easy. 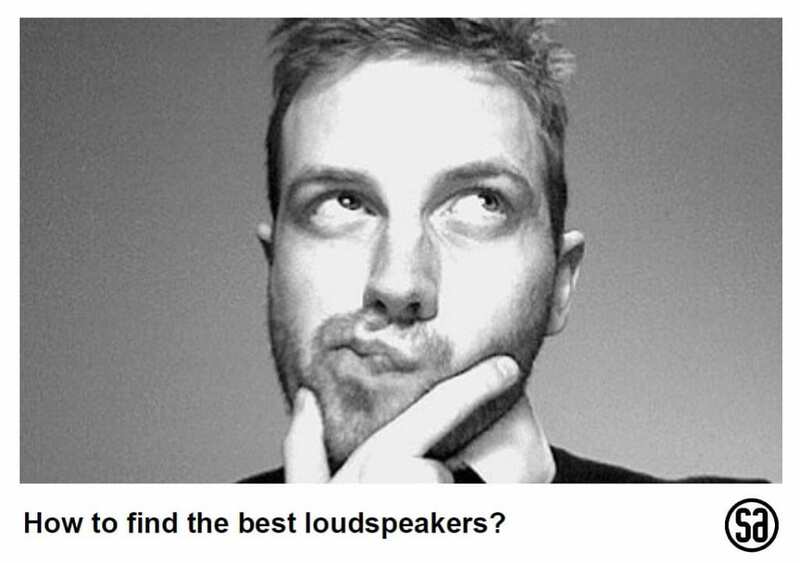 Or you may simply have more wireless speakers in a multi-room system controlled by your app. A technology that opens doors that were previously closed should have a name. That's why we invented silverback. The master of the jungle. In addition to the innovative features, you may look at silverback as a musical power plant. One disadvantage of traditional speakers is that you have to play relatively loud to hear all the instruments. This is due to a limitation in the human hearing that makes us difficult to hear ex. bass when we hear background music. We've solved it with silverback. Silverback compensates for notes we can’t hear when the volume is low. For the first time, you hear a large and rich sound image, even when you only hear background music. It's a liberating experience. The remote control is an upgrade of the traditional remote control and its limitations. 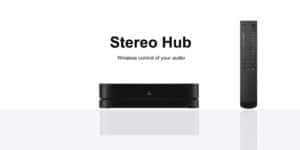 The hub is the focal point for all your audio sources, both the wireless and those with a cord. You can put it where you want. It does not have to be in a visible place. But if you have a TV, a CD player or a turntable (that all works a cable) just connect them to the hub. It will then resend the signal wirelessly without loss. We created amazing speakers before we made them wireless. 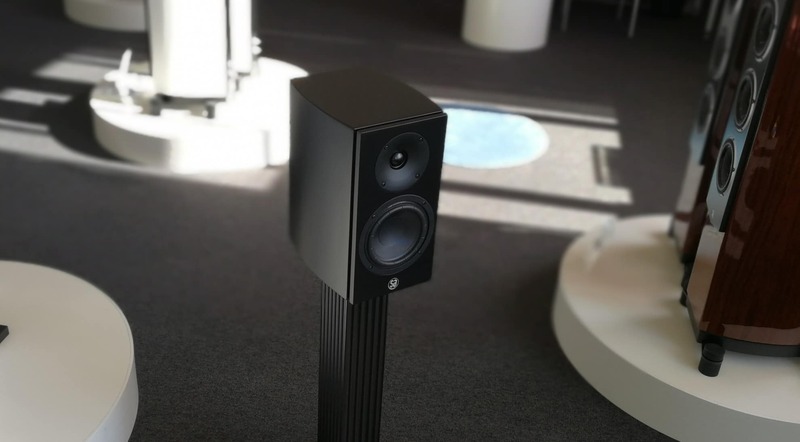 It is a craft to build a speaker that delivers a musical experience, and the technological achievements have not changed this. We have designed a new bass speaker with 40% longer stroke compared to a normal speaker, to get the full benefit of the silverback amplifiers. We tested different materials and fell for the natural sound of the fiber membrane. We have listening tested everything and created an overwhelming musical and lifelike sound experience. The tweeter contains a new version of the patented DTX lens. It fills your living room with sound. You can be anywhere you want and still enjoy the music. You don’t have to sit in any particular sweet spot. The finest details of the music are reproduced by an ultra-light membrane that is actually lighter than a feather. This is how we make sure that you hear all the nuances of music. 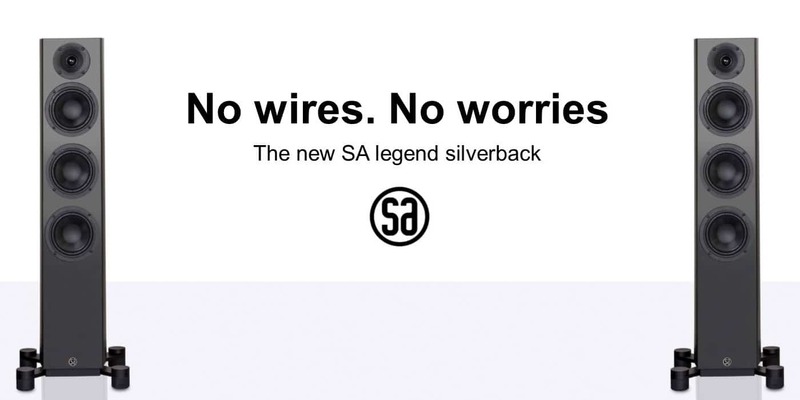 SA legend silverback is a new way to think about loudspeakers. For the first time, you'll see technologies put together in a way ... where technology, simplicity and amazing high definition music experiences are gathered together in one product. There are 5 speakers in the SA legend silverback family. We will present two of them in the May, 2018.